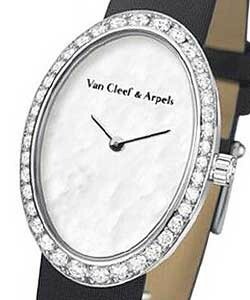 Van Cleef & Arpels was established through the marriage of Alfred Van Cleef and Estelle Arpels in 1896. 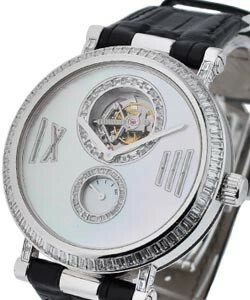 Through the many years the firm has been amongst the elite jewelers of Paris and New York and today has 10 boutiques internationally. 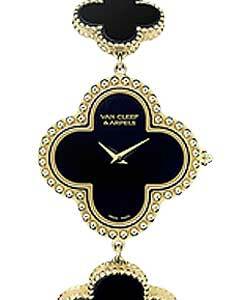 Known for fabulous jewels and the finest execution for the rich and famous such as Eva Peron, Marlene Dietrich and Grace Kelly. 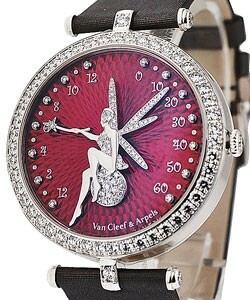 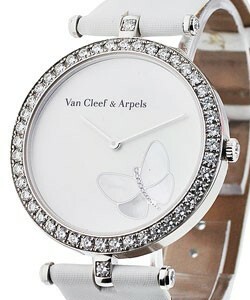 Van Cleef has produced watches under their name since the 1920s. 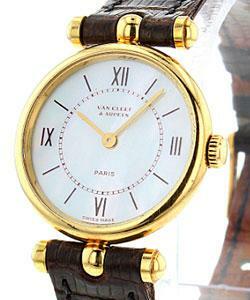 Since being acquired in 1997 by the Luxury Giant Richemont (Cartier, Piaget, IWC, Jaeger-leCoultre, Baume & Mercier and Mt. 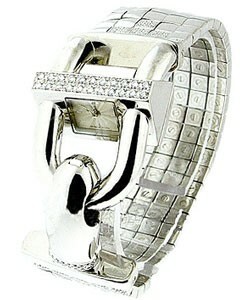 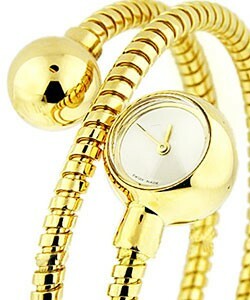 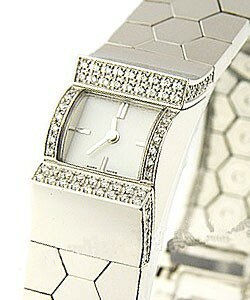 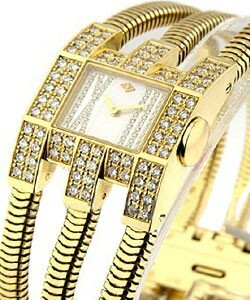 Blanc) there have been unsuccessful efforts to brand the name to compete with Cartier. 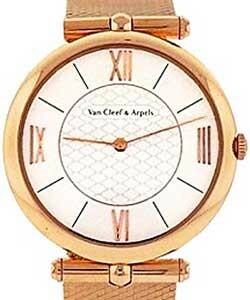 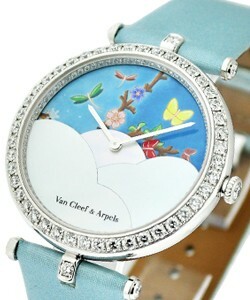 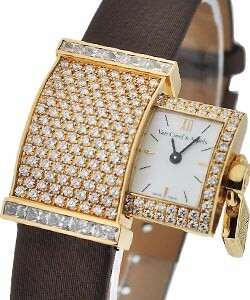 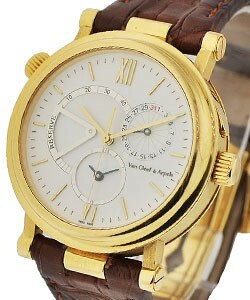 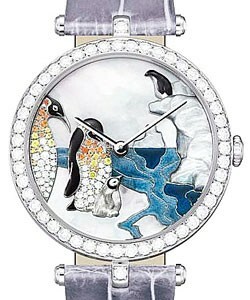 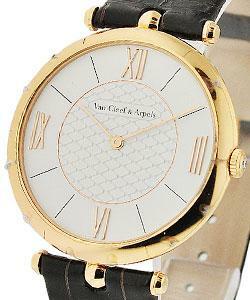 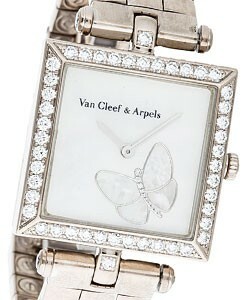 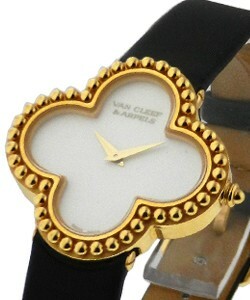 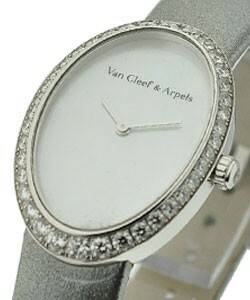 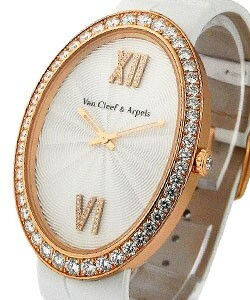 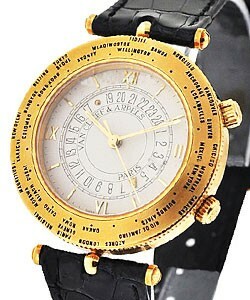 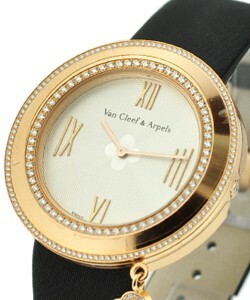 Van Cleef & Arpels watches are most often seen as jeweled timepieces at very reduced or close out pricing. 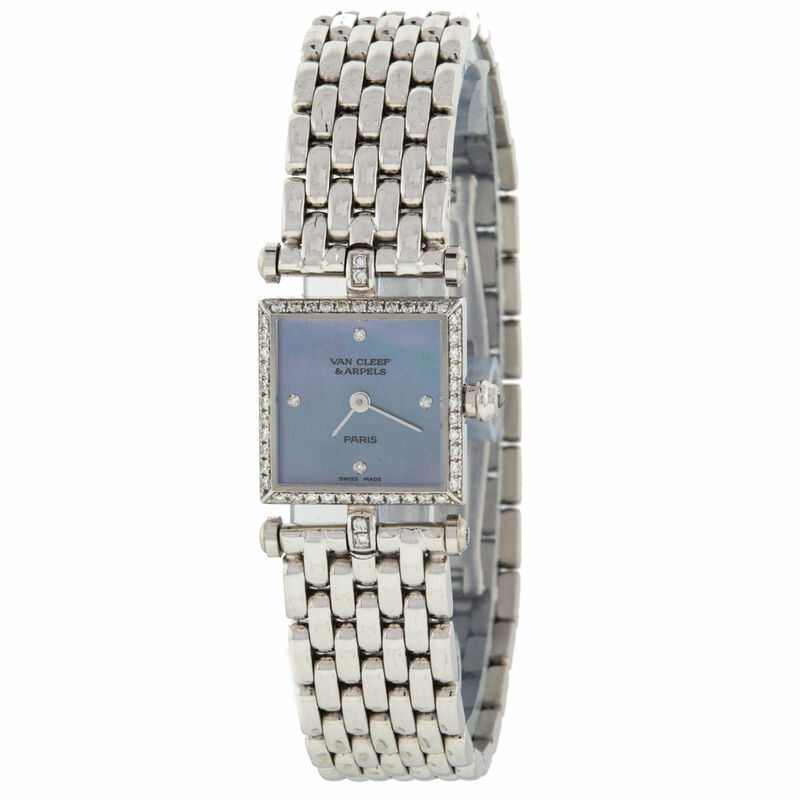 Discontinued watches in 18K Yellow or White Gold with distinctive styling and fine quality at very steep discounts approaching 70%. 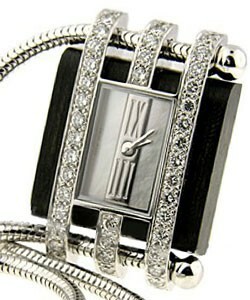 These jewelry pieces are great values but are also quite rare and seldom seen. 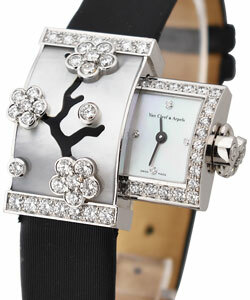 Modern pieces are sold in their boutiques but seldom available in the secondary market.